It’s estimated that millions of Americans never floss and that less than half actually floss every day. While a lot of us might stretch the truth when our dental hygienist asks us how often we floss, dental professionals can usually tell how well we’re indeed cleaning our teeth. Flossing primarily helps to clean the places that your toothbrush can’t reach. The small spaces in between your teeth can still collect harmful bacteria that create the perfect environment for gum disease to develop. Here are a few tips for helping you floss better and more efficiently with the help of your Bayside general dentist, Dr. Davantzis. 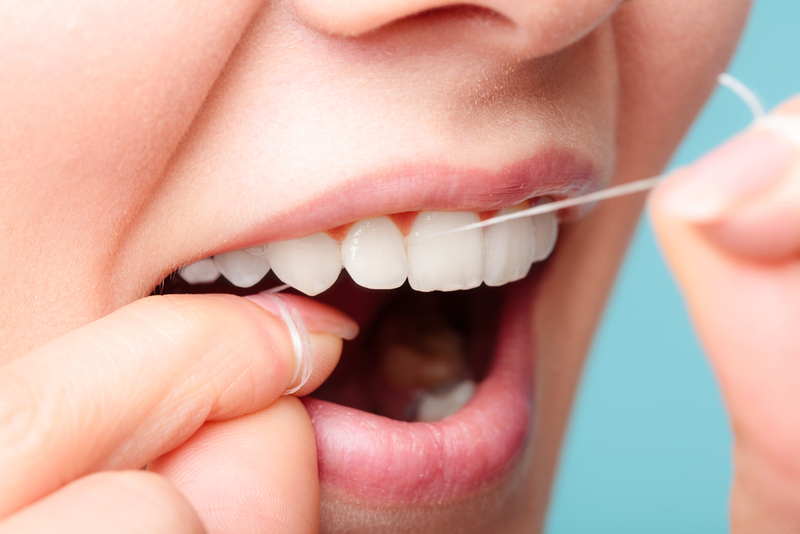 For many people, the hardest part about flossing is getting the string wrapped around your fingers correctly. Floss picks are small, disposable picks that already have the string taut and ready to clean between teeth. They also come in refreshing flavors like regular dental floss! Lots of people think that they have to push the floss down in between their teeth to ensure that it fits between them. It’s actually much easier (for both you and your gums) to make a sawing motion in between your teeth to slowly ease the string into the crevice. Once you hear a small snapping sound, you’ll know that the string is there and you can continue the sawing motion to remove debris and bacteria. Always be gentle with your smile! PTFE floss might be easier to use for some people, as it tears much less than nylon floss. PTFE is only one string while nylon floss is made up of multiple different filaments. If your issue is that you simply have trouble remembering to floss after brushing, consider setting a quick reminder on your smartphone. You can also put a sticky note on your bathroom mirror to help you stay on track and not walk away without flossing. While this may seem insignificant, sometimes having a new product to look forward to can encourage people to floss more frequently. There are tons of different floss flavors available from traditional mint to even cupcake! Dr. Davantzis may even have small travel sized packs of differently flavored floss so that you can have a variety each day. If you have any questions for your Bayside general dentist, please call our office today at 718-279- 9700.